Mystery odor from your trailer bathroom? 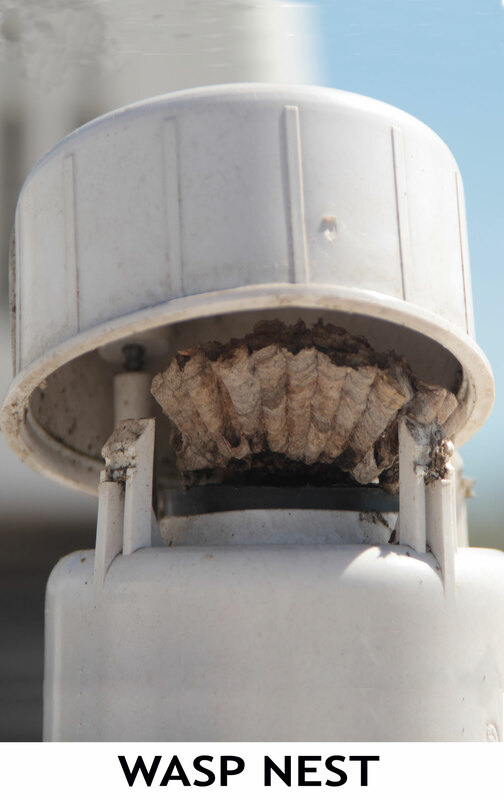 Look before you pour…A wasp nest became a perfectly positioned cap for our trailer bathroom vent pipe. After trying gallons of different smell preventers: I tried a practical solution, logical thinking, and a ladder. Carefully I pushed a bent wire down the pipe and lifted it out in one piece. Fortunately, no one was home.